ChengXiang Zhai, PhD, Professor and Willett Faculty Scholar, Department of Computer Science, University of Illinois, “Statistical Approaches to Analysis of Traditional Chinese Medicine Practice Records” at 11:00 am on Thursday, May 18, 2017, in Rooms 407A/B BAUM, 5607 Baum Blvd., The Offices at Baum. Abstract: Traditional Chinese Medicine (TCM) can provide important complementary medical care to modern medicine, and is widely practiced in China and many other countries. Recently, TCM patient records have been digitalized, leading to a large number of online patient records. The data contains potentially valuable knowledge about diagnosis and treatment of various diseases using the TCM methodology and thus creates an interesting opportunity to apply data mining techniques to extract such knowledge. In this talk, I will present some of our recent work on using statistical approaches to analyze TCM patient records for disease profiling, disease subcategorization, and survival analysis. In disease profiling, we propose a new probabilistic model for the joint analysis of symptoms, diagnoses, and herbs in patient records to discover the typical symptoms and typical herbs associated with different diseases. In disease subcategorization, we study how to cluster patient records to discover subcategories of diseases and show that we can use machine learning to leverage the knowledge in a TCM dictionary of herb functions for improving the accuracy of subcategorization. In survival analysis, we cluster lung cancer patients and compare the survival time of different clusters of patients and show that integration of medical records with molecular interaction networks and TCM knowledge graph is effective for addressing the problem of missing data in the medical records. The experimental results on multiple TCM patient data sets show the benefit of integrating medical records with other biomedical knowledge bases and the promise of leveraging TCM patient records for improving precision medicine. Biography: ChengXiang Zhai is a Professor of Computer Science and a Willett Faculty Scholar at the University of Illinois at Urbana-Champaign (UIUC), where he is also affiliated with the Institute for Genomic Biology, Department of Statistics, and School of Information Sciences. 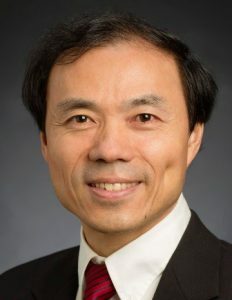 He received a Ph.D. in Computer Science from Nanjing University in 1990, and a Ph.D. in Language and Information Technologies from Carnegie Mellon University in 2002. He worked at Clairvoyance Corp. as a Research Scientist and a Senior Research Scientist from 1997 to 2000. His research interests are in the general area of intelligent information systems, including specifically information retrieval, data mining, and their applications in biomedical and health informatics, and intelligent education systems. He has published over 200 papers in these areas with high citations, and a textbook on text data management and analysis. He is an Editor-in-Chief of Springer’s Information Retrieval Book Series and an Associate Editor of BMC Medical Informatics and Decision Making, and previously served as an Associate Editor of ACM Transactions on Information Systems, Associate Editor of Elsevier’s Information Processing and Management. He is an ACM Distinguished Scientist, and received a number of awards, including Association for Computing Machinery SIGIR Test of Time Paper Award (three times), the 2004 Presidential Early Career Award for Scientists and Engineers (PECASE), an Alfred P. Sloan Research Fellowship, IBM Faculty Award, HP Innovation Research Award, and UIUC Campus Award for Excellence in Graduate Student Mentoring.